Place d'Albertas - Aix-en-Provence, south of France. A magical place, where everything competes to suggest a theatrical scene, the square was created in 1745, when the Marquis Jean Baptiste d’Albertas had the houses opposite his mansion demolished. 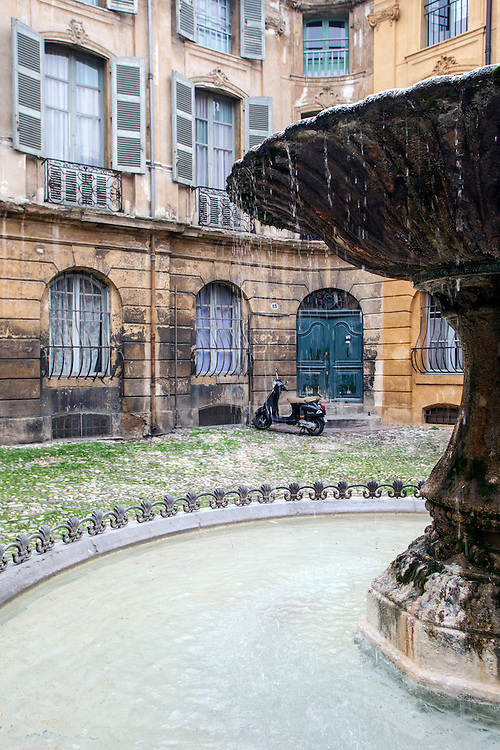 This leading Aix family lived a very luxurious life at the time.The vast mansion, altered in 1724, and the rococo style square are the work of the Vallons (father and son) who found inspiration in the fashionable royal squares of Paris.At the centre, the fountain with its basin dates back to 1912.